We're still busy working on Version 11, but I took some time to correct the most prevalent problems in version 10. This will be the last version 10 service pack, but we will provide an additional builds if we've introduced any new problems or we find any critical bugs. Modified Digicam plugin (version 10 only!) to allow abort (ESC key) when loading an image to view. This same change also improves response time when browsing thumbnails and the maximum preview image size is set very large. Build 4015 fixes a bug caused by this Digicam modification, which could cause ThumbsPlus to hang in some situations, especially when accessing PDF files if Ghostscript was not installed or the Ghostscript plugin was not configured properly. Fixed occasional seemingly random crashes when browsing the thumbnail view and switching between active thumbnails. When running ThumbsPlus in safe mode, verbose logging is now automatically in effect. Fixed moving Database - Advanced - Move Thumbnails to Files so that it always displays proper messages when it completes successfully and a program restart is no longer required. Fixed color picker luminance bar for scaled high resolution displays. Fixed some additional rare crashes. Now installs the SQLite3 ODBC driver for ThumbsPlus with a separate name so that a sqlite3odbc.dll in the Windows folder won't override it. If you want to experiment with different version of the SQLite3 ODBC, you'll need to replace the file tpsqlite3odbc.dll in the Odbc subfolder of the installation. Fixed a Side-by-side error event occurring each time ThumbsPlus was executed. This didn't cause any issues in the application, but was rather annoying to people who regularly look at the Windows Event Log. Fixed occasional and random hang on program start when ThumbsPlus is run from a command line, Windows File Explorer, or other programs with a file name to open. Fixed problem with consistency in displaying and updating the File Name Mask and other items in the thumbnail display and Options - Preferences - Thumbnail View. When you use ThumbsBug to report an error, it now includes the email subject (problem description) within the .7z file (Bug_Summary.txt), so that when direct email from ThumbsPlus fails, the problem description makes it to us. Fixed sometimes writing an XMP orientation of 0 (rather than removing the orientation tag). This caused occasional compatibility warnings from other programs. Fixed occasional crash when memory was insufficient to build the file list in the thumbnail view (hundreds of thousands of files). Fixed processing of \d and \t tokens for contact sheets and printed catalogs. Fixed some problems with sorting by orientation. Added some additional logging to help diagnose various problems. 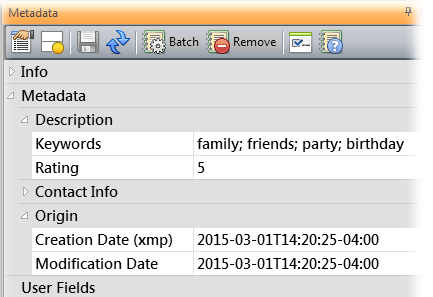 The database activity indicator now remembers its state between rims. Fixed problems displaying some movies. Fixed several additional possible random crashes and some memory handling problems. Fixed some typos and other cosmetic issues. Version 10 download now includes updated versions of the Digicam (5.6) and Digiraw (9.27) plugins. We will also release an updated plug-in download for version 7 through 9 soon. Fixed "Browse for folder" showing only administrative shares on remote systems, rather than the actual configured shares. Fixed several occasional installation errors. Fixed problem where long strings in find criteria (name mask, SQL statement, etc.) could be truncated when reading and could cause crashes. Fixed initial position of some dialog box to follow the selected location from Options - Preferences - General. Fixed rare crash or memory errors that could occur when viewing in Report mode, or viewing keywords in the thumbnail view. Eliminated several rare crashes that could occur during program startup and shutdown. Corrected an issue in build 4009 that caused dragging files to sometimes fail. Renaming a folder using the context menu (right-click) would sometimes position to the last folder selected, rather than the currently-pointed-to folder. Fixed crash when creating contact sheet or catalog with no selected files. Fixed occasional display of "code does not validate" when code is correct. Fixed rare crash when thumbnails saved in LZH format were invalid or corrupted. Fixed ability to run on Windows XP SP3 (minimal support). Fixed several crashes that could occur during ThumbsPlus shutdown. Fixed "Date Taken" not initialized in Preferences - Thumb View. Fixed expandable branches (+/-) not showing correctly on Vista or XP. 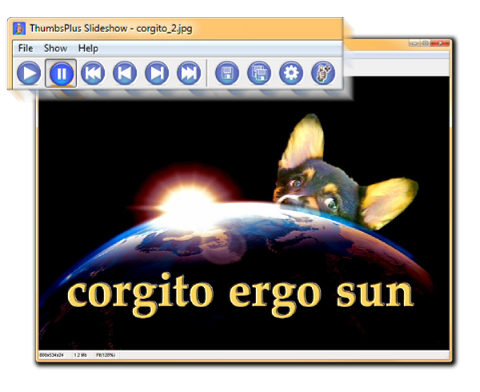 Image - Build Slide Show now creates a working slide show executable. Fixed positioning of color picker pop-up so that it stays within monitor bounds. Fixed a failure of Thumbnail - Scan Folder to make thumbnails for folders when there were only sub-folders (and no other files) in the current folder. Fixed append to XMP comments (and other x-lang fields). Displays error messages when specific XMP field updates fail. Displays error messages when file is in use by other processes during XMP update, precluding updates to metadata (occurs occasionally when cloud files are being uploaded; i.e., Google Drive, Dropbox, etc. Retries for up to 1/2 second before displaying the error. Fixed a rare crash that could occur when closing T+ when the file list is refreshing. Fixed problem during starting which could cause random hangs or weird operation, especially when Remember all opened folders is selected in Options - Preferences - Startup. Reduced number of expanded folders to save for startup from 500 to 250 when the option is checked in Options - Preferences - Startup. Fixed a problem wherein the initial folder at program startup was the last folder right-clicked, rather than the folder that was open when closing ThumbsPlus.. Fixed count of files for thread and other progress displays when displaying folders in the thumbnail view. This fixes the progress percent going above 100% in nearly all cases. Fixed an issue that could cause ThumbsPlus to hang for a few seconds when several background tasks were quickly creating or removing thumbnails. Updated Help - System Info and the tptechlog to properly recognize Windows 8.1 and Windows 10. Fixed a main window pane focus problem when pane(s) were floated outside the main window (see image). This was especially noticeable if you dragged the main Thumbnail pane to a separate window. Fixed a problem where the Minimize, Maximize, and Close buttons on the main window would not work when panels were floated (see prior note). Fixed several XMP/EXIF lookup fields to properly display text rather than numeric value (e.g., Sharpness, Saturation, Contrast, Scene Type, and Scene Capture Type). Made several improvements to internal memory handling (both for speed and usage). Fixed problem with thumbnail rotations (Thumbnail - Orient) being applied twice during the slide show. Fixed a crash when saving 16-bit grayscale images as Jpeg or other types that don't support 16-bit images. When the preferred dialog position was set to top left in Options - Viewing - Window, ThumbsPlus was centering them instead. Fixed a failure to update the Thumbnail pane after removing thumbnails from folder. Added Main Window Dialog Position to Options - Preferences - General. Fixed initial locations of some main window dialogs to properly locate based on preferences. Fixed not graying Render Alpha menu option when non-alpha image. Improved appearance and utility of Help - Program Updates. Fixed initial folder selected when browsing to select a folder. Fixed move/copy a file during slide show would bring the main ThumbsPlus window to the front. Maximum view window zoom increased to 128X. Added hard-coded zooms CTRL+1,2,... to 10%, 20%, etc. Improved readability of the Metadata panel by setting the default to Use thumbnail colors everywhere in Options - Customize - Colors. If you're upgrading, I recommend enabling this option, or clicking Use defaults. Added an option in Options - Preferences - Confirmations for the confirmation of File - Delete to default to Yes, to match Windows Explorer behavior. The default for deleting folders default remains No for safety. Changed the default for overwriting files during Image - Batch Process and Thumbnail - Export to be Yes, to match default Windows behavior. Fixed the height of the Metadata toolbar to match the heights of the Location and Thumbnail View toolbars. Fixed the File toolbar in the View window to be customizable. Cleaned up the database history in the Database - Open fly-out menu to remove duplicates, sort by most recent, and check the currently-opened database. File - Properties wasn't always showing the proper file size for files larger than 4 GB. Made File - Copy and File - Move menu fly-outs only add the special folders specified in Options - Preferences - Disks and Folders. Also made the names consistent with what shows in the main folder tree. Thumbnail - Remove - From Folder was not updating the thumbnail view. The Image - Color Adjust and Image - Color Depth dialogs did not have titles. Added File - Close Others to the view window menu (to close all other windows besides the current one). Moved Repair and Compact from Database - Advanced to the main Database menu. Added Database - Advanced - Move Thumbnails to Files to make the process easier (in earlier versions you had to type several Python commands). Fixed several blank dialog box captions (Color Depth, Adjust Color, and External Program). Improved Python panel command handling and progress display, and added an Open button to run a .py file. Added (READONLY) to the main window title bar when the database cannot be updated (due to permissions or if it's on an non-writable device). Fixed some dialog strings that were truncated at high dpis. Fixed narrow width of error message windows. Added ability to adjust dpi from debug menu (very limited capability; affects about screen and other manual scaling, but not dialogs). Added an option to Scale Icons in the main window toolbars based on screen dpi, in Options - Customize - Options. The panel toolbars (Location, Thumbnail View, Metadata) icons and combo boxes are now scaled and sized properly at high dpis. There are a few minor issues remaining (for example, some custom button bitmaps are too small, and the some image operation preview window menu buttons need to be larger). I will be continuing to improve high DPI support. We've updated the Digicam Raw plug-in, which is installed automatically with version 10, with the latest version (9.26) of Dave Coffin's dcraw program. Added the command line option -dbmon which will detect when database actions take an unexpectedly long time, and providing the ability to cancel them. This is an experimental option. Improved error reporting for some types of database errors. Modified internal handling of background task completion and Python subsystem finalization in order to prevent possible crashes and hangs when closing ThumbsPlus while background tasks were running..
Make sure that any Watched Folder tasks display in task list when running at startup. Sometimes they were actually running, but not visible. Fixed possible crash when forcing background tasks to terminate. Eliminated possible crashes and bizarre thumbnail displays when the dimensions of a thumbnail file didn't match the database record. Fix ordering of obtaining thumbnails from database or external files, so that a database works properly after an error or cancel in Database - Move Thumbnails to Files. Fixed a possible buffer overrun in Files - Volumes - Properties. Added start and stop overlord thread to to the advanced Debug menu. Minor clean up of some Python scripts. Various minor aesthetic and performance improvements. Fixed Various minor aesthetic issues and typos. Build 4004 fixes several issues and includes some performance improvements. Here are the details. Build 4003 fixes a problem from builds 4001 and 4002, where per-user (separate) preferences were not saved when the user name had a period in it. There are a few additional minor changes. As usual for a major release, the version 10 installation does not remove prior major versions, so you can use test or compare multiple versions. (Note: This was broken in the original build 4001 installer, but fixed in build 4002. The Version 10 installer migrates your version 9 profile settings, external program configuration, and main window UI customizations to version 10 for most installation types. The installer now includes the latest versions of the Digicam, Digiraw, and Ghostscript (PDS/EPS/AI/PS) plugins. You will still need to install Ghostscript yourself, as we cannot redistribute it. Many of the build 4002 changes are in the installer, and not particularly interesting unless you installed build 4001. Here are the details. Reduced the confusion when attempting to change metadata directly when multiple images were selected. Rather than just edit the focused file, ThumbsPlus now disables direct editing when multiple files are selected. 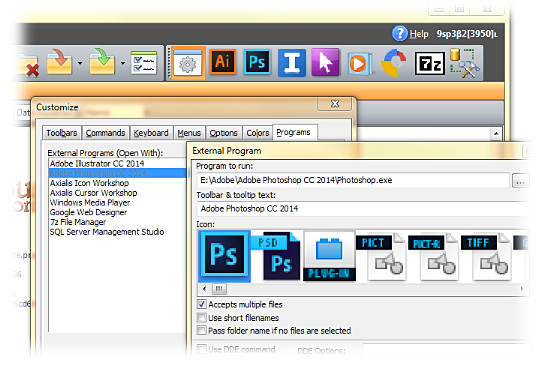 Use the Batch button or Image - Batch Edit Metadata to change metadata for multiple files. Added an information pane at the bottom of the Metadata panel, which currently displays only the official XMP field specification. I moved Colorspace and Aperture Value from the Advanced Camera to the Camera category. I do plan for these to be user-configurable in the future. Fixed improper conversion of Date Taken to local time when displaying (it was already local time). File times are still stored as UTC and adjusted correctly. Fixed a failure to write metadata to files that would start occurring kind of randomly, and would continue to occur until program restart. During this process, I also improved and consolidated the warning messages that display when ThumbsPlus cannot update XMP. I fixed some issues in the control file for XMP, and changed several defaults for display metadata display. Because of an issue with the way Creator (dc:creator) was handled in some prior builds, the items shown on the Info tab revert to factory default when you install. In the editor, I also fixed the problem with the Edit and Delete buttons. I also added an Append button so that you can combine multiple editor sets. Fixed where thumbnails would indicate that the file had metadata after batch editing, even if there was none there, and vice-versa. Found and eliminated some unnecessary repeated display of metadata and the preview window when clicking files. Fixed a problem where the opened Metadata and Info tab groups were not always being saved (categories and sections would close when selecting different files). See Image Editing and Processing below for information on fixes to handling image resolution (DPI or DPC). ThumbsPlus was not consistent. Implemented metadata cache for XMP. Reduces the number of times files are scanned for metadata by 50% to 80%, improving performance. Fixed the loading of XMP/EXIF metadata from most major formats loaded using the Digicam and Digiraw plugins, including ORF, ARW, SRF, Leica, Minolta MRW, and some newer CR2, NEF, and DNG formats. Modified the Adobe XMP library to handle the odd TIFF-like headers in Olympus ORF files. Because of potential conflicts with cameras or other software, metadata editing in raw Digicam files is disabled by default. If you wish, you can enable editing for these formats in Options - Preferences - Metadata. Added an option in Options - Preferences - Metadata to automatically remove several potentially long Photoshop history metadata (photoshop:History, photoshop:DocumentAncestors) items when saving or editing metadata in non-Photoshop files. In a future release, you will be able to control it more exactly in the Save Options for each file type, used when saving individual files and for multi-file operations, such as Batch Process and Batch Edit Metadata. Disabled editing of metadata in several other file formats in which XMP not supported. Improved reporting and logging of errors during XMP loading and processing. Clear out the saved list of Expanded Groups on first run of build 3949 because some prior v9 apparently left it in weird state, causing metadata categories to sometimes collapse when selecting different files. Fixed skipped items and XMP error #0 when loading or using metadata set from a file. Widened the Select Items dialog lists so that items with long names are easier to differentiate. 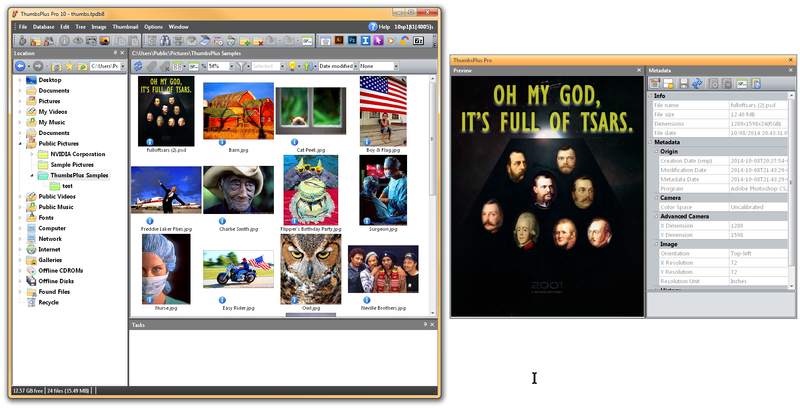 Increased the maximum display size for large metadata items to 100 KB (such as Photoshop History). Added several popular XMP items to the list of recognized tags. Fixed quoting of file names when launching external programs. For compatibility with some then-popular programs on older operating systems, ThumbsPlus was only quoting file names with certain characters in the names. Now it properly quotes all file names, unless you select to use Short file names, in which case in only quotes them if short file names are not available on the file system. A bug in beta 3, fixed in build 3953, was not passing multiple files correctly. Fixed external program option Pass folder name when no file selected. There is now a Programs toolbar, with a button for Customize. It is updated automatically with icons when external programs are added or changed, simplifying the process considerably. You can drag from this toolbar to others if you want, and you can hide it from the main Customize - Toolbars tab if you don't want to see it at all. I added an Edit button to Customize - Programs, so you can change an entry rather than deleting & re-adding. Fixed the display of icons in the External Program dialog so you can tell easily which is selected, and it automatically selects the first icon when adding a new program. You can drag the programs in the Customize - Programs list to reorder them. Fixed other problems with Customize - Programs, including sometimes removing the wrong item. The Info decoration ⓘ is now only shown on thumbnails for images that have more than minimal tiff: and exif: metadata tags (for example, TIFF files always showed as having image info since some of the standard XMP tags are tiff: tags as well). You will need to remake thumbnails to get the newer, more useful ⓘ decorations. 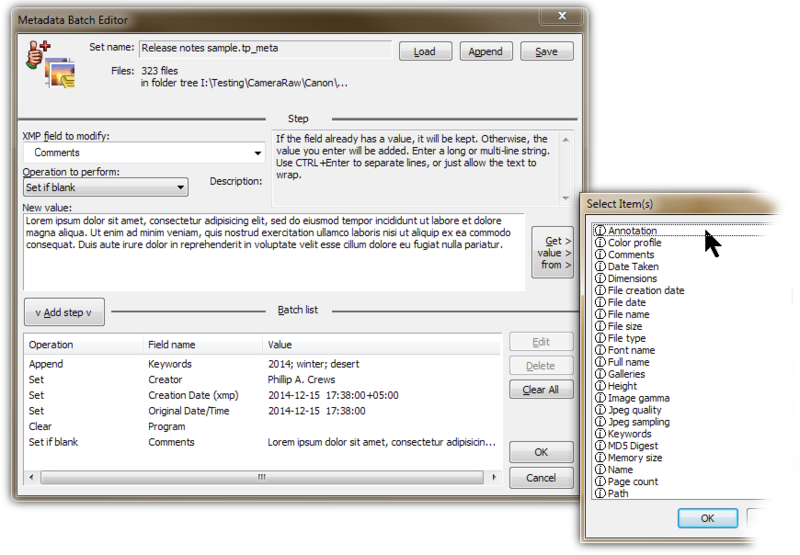 After changing the font, task window entries for newly-created tasks are correctly sized. I fixed a few aesthetic problems with the implementation of themes (Window - Theme), and now place a checkmark next to the current theme. Additionally, the theme now works properly in the view window. In Preferences - Confirmations I added a new option to Suppress all info messages for multi-file processes (including overwrites). This speeds large file or folder operations where thousands of files may be overwritten or skilled, for example, and leaves only warnings and errors to see. Removed some unnecessary spacers from the toolbar in the Thumbnail View. Found and removed some additional animations I had accidentally enabled in menus and on toolbars, as these can make the menus sluggish on remote connections. When saving files with alpha channel in the view window, ThumbsPlus was not correcting rendering the thumbnails; the transparent areas were not evident in the thumbnails. The large toolbar size has changed from 40x40 to 48x48, since many displays (especially high DPI displays) are so dense. More sizes and additional scaling will be available in future releases. I also changed some static toolbars (tree, thumb view, metadata) and drop-down menus from 20x20 to 24x24. I changed the initial defaults for auto-cropping when thumbnailing and copying to clipboard to OFF (in Options - Preferences - General and Options - Preferences - Thumbnails). These are a lot less useful for people than they were in the past. ThumbsPlus will provide additional warnings and offer to restart ThumbsPlus if certain database parameters (such as volume matching mode) change in Options - Preferences - Thumbnails. Fixed the problem with Help - Enter Registration dialog not immediately showing when the code matches. When ThumbsBug cannot retrieve the Windows user name for bug reporting, changed the mail From: header to "A ThumbsPlus User" rather than "Some random person." Changed the default name of found lists in multi-user license to include the user name (Found by Phillip Crews) rather than host name (Found Files (THISPC)), to make it more friendly when a user moves between multiple computers. Not working correctly in beta 3, but fixed for release: I changed folder and file sorting by name to utilize Explorer sort order (which is set in Windows group policy, either by a domain administrator or by using gpedit.msc directly), rather than always sorting by Windows' logical (numeric) sort. If you do not wish to change Windows group policy, you can also sort by None to use the file system's internal sorting — for NTFS this is a simple case-insensitive search. This is nearly identical to the old default Windows 2000 sort order. Fixed problem where missing SQLite ODBC driver would cause repeated "ODBC hosed" error / and ineffective repair. (The imported .reg file didn't fix SQLite). Changed to fit thumbnails (as in 7), rather than crop, in the Confirm File Replacement dialog. Fixed File - Delete Files to default to No on last (or only) file for consistency. ThumbsPlus now saves last TWAIN scanner selected between runs. Fixed a failure to cancel background preview loading of very large files when selecting a different file. Fixed a problem where the Use alpha channel option was sometimes disabled for text in Image - Stamp. Fixed a problem where Image Stamp steps in Image - Batch Process were using 800K of disk space. This also greatly reduced image memory usage after many actions (stamp or not). To maintain compatibility, batch processing can still read the long records, but always writes corrected short ones. Batch sets that include Image Stamp created by version 9 SP3 are not usable in prior versions! 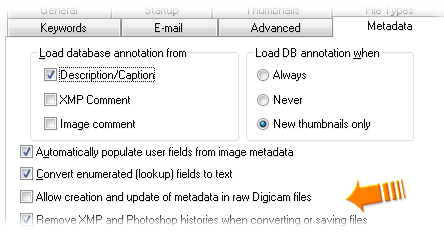 Sometimes .tmp files created by the Digicam plug-in were not correctly being deleted by ThumbsPlus after use. The theme selected in the main window (Window - Theme) now works properly in the view window. I fixed a rare problem where the view window menu could disappear in normal mode after some sequences of operations in full-screen mode. Fixed a bug that could cause an occasional crash in Edit - Paste, Image - Crop, or Image - Stamp. ThumbsPlus was not always saving customizations done to the view window toolbars, particularly in the case of "quick" customizations (dragging buttons with ALT, or using the quick menu to turn toolbars on and off.) This is fixed. I added several fields to the view window status bar, and changed which are displayed by default. ThumbsPlus now saves any customizations to the status bar. We fixed various issues with image resolution (DPI/DPC). Most of the problems occur because images can have their resolution stored two ways: in the native file format, and in the XMP metadata. Some software requires the first, and other the second. ThumbsPlus was only usually storing DPI in the native way, so some other software would not recognize the resolution. I fixed additional problems with the Edit - Set Resolution function in the View Window, and removed the Pels per Meter unit selection, which was old and silly. I fixed display of ms after load time in view window status bar. (It was showing as (null). The view window File toolbar was accidentally marked as not being customizable. This is fixed. I fixed the painting of the sizing rectangle around the pasted image during Edit - Paste. If you want to see image without the sizing rectangle (for alignment), you can hold the Alt key while paste is active (including while moving or sizing it). Fixed a crash when attempting to add an Image Stamp batch step in Image - Batch Process. Fixed Clear and Auto View button functionality and consistency. Color replacement menu option and button are enabled only for 24-bit images (with or without current selection) and <=8 bit without a current selection. Moved the Alpha Channel functions from the Edit to the Image menu. Fixed view window toolbar button sizes, and toggling between large and small buttons. Changed default view window toolbars to have only a few buttons, and Got rid of inoperable Show Toolbar option in Options - Viewing. Fixed a compatibility problem copying 32-bit images (24-bit with alpha channel) to the clipboard. Improved the appearance of the Image - Adjust Colors dialog, and you can now switch between tabs using ALT+1, ALT+2, and ALT+3. Added Image - Process - Desaturate and a corresponding batch step. This simply does a color adjust with -100% saturation, but I was doing it a lot for selected areas of screen shots, so I added it. The keyboard shortcut is SHIFT+U. Added Image - Render Alpha (Composite) to render a transparent image onto the background color. Changed several Image - Process functions to operate only on the current selection if one is made. (Desaturate, Defluoresce, General Enhance, Contrast Enhance, Sepia Tone and Semi-Sepia Tone). Fixed problem with image and database rotations not being applied during a slide show. Greatly improved performance of color adjustment preview being when a color profile is being applied. Improved efficiency of image resampling during display. Fixed problem creating incorrect thumbnail when transparent (alpha channel) image was merged with the background color during saving. Removed spurious alpha channel warnings when JPEG options dialog was computing the output file size. Because of incorrect or inconsistent handling by other programs, including a crash in Mozilla Thunderbird, disabled copying an embedded ICC profile with the image to the clipboard. The selection rectangle size (F11) setting in Preferences - Viewing - Appearance was being ignored. Implemented the horizontal slider in filter dialog (that was inoperative before). Fixed the Transform - Trim to Proportion - 16 : 10. Fixed crash in Edit - Figure Area when clicking on Use Image Resolution. Reordered loading of file info and preview to reduce window where dragging didn't get noticed. Changed preview delay from 50 to 25 ms. Large files with lots of metadata can still be an issue because of I/O. Changed to only load the image preview if the preview window is visible. So, when dealing with certain files, closing the preview window should also help eliminate with the drag delay. The metadata new caching also reduces the chances of this occurring. Improved memory usage in many areas, most notably for images after many editing functions and levels of undo. Fixed a memory reallocation bug that could cause rare crashes when internally reducing the size of large mapped memory blocks. This could happen in several different areas of the code, and appears to be the cause of almost all the crashes in the betas. Improved the response time of the main window toolbar command states, so that it reacts quicker to enable or disable (gray) buttons based on file selections and other runtime situations. This is also configurable in the INI file by setting (in milliseconds) the UiUpdateMs entry in the [Startup] section. I limited logging of Informational, Warning, and Question messages (to the program log file, ThumbsPlus9.log, which we often use to track down bugs or other problems). They won't be logged unless you set the -verbose startup flag or use the option to start ThumbsPlus in safe mode from the desktop or Start menu/window. Removed some unnecessary code that was could attempt to access the Metadata Info panel tab during program shutdown. (The tab could already have been removed by shutdown, and in that case it could cause a crash). Made all displays and validations for thumbnail JPEG quality range consistent (Q25 - 96, with a warning below Q50). Changed the initial default JPEG quality to 84 (from 75) for improved default appearance out of the box. Added database options (only manually set in the database for now) for improved JPEG thumbnail appearance, especially for small thumbnails, and to allow selection of JPEG DCT method. Thumbnails at or below 40x40 pixels are no longer JPEG compressed by default. Reduce toolbar UI update lag time from 250 to 100 ms in main window, and from 200 to 100 ms in view window, making button enable/disable more responsive. Added some memory allocation block validation and logging in release version, to help locate any memory allocation errors that cause a subsequent crash. The version 10 installer includes an Express option which is highly recommended, especially for new users. It will uninstall any prior version 10 and install the latest build using the recommended defaults, and run ThumbsPlus once complete. The Clean Install option (available in an Advanced installation) will remove any version 10 configurations and customizations from earlier installations. The version 10 installer includes the latest Digicam, Digiraw, and Ghostscript plugins. Note that for PDF/EPS/AI/PS support, you must still download and install Ghostscript. (GS version 9.16 is the latest version as of these notes, and the latest we've tested with. We haven't had particular problems with any 9.x release.) You must configure its location in Options | Ghostscript. ThumbsPlus cannot redistribute Ghostscript. If you encounter problems during the installation, please send us the latest thumbsinstall-10-*.log file(s) from your user TEMP folder along with your problem report. (If you're not sure where this is, hit WIN+R, enter %TEMP%, and hit enter, and Explorer will open it for you). The WIN key has the Windows logo ( ) and is usually between the CTRL and ALT keys. If your keyboard doesn't have one, consult the documentation for your keyboard and version of windows, or run the command START %TEMP% from a command prompt. Send this file to support@thumbsplus.com, and be sure to provide a meaningful email subject (such as "Unable to install ThumbsPlus 10"). The build 4001 installer would allow you to install using the deprecated (and not recommended) All in One style into folders protected by Windows UAC. This would cause problems making thumbnails and retaining preferences. The new installer will not allow you to install All in One in the Program Files folder. The installer now prevents installation into the Windows or Desktop folders, or in the root folder of a drive. The Clean Install option was not functioning properly in build 4001. While the build 4001 installer included the Digicam, Digiraw, and Ghostscript plugins, it did not include the older DLLs required by the Digicam plugin for some Canon, Nikon, and Kodak raw files. The installer now defaults to a Start Menu group of ThumbsPlus 10. I fixed or improved several additional things, including progress reporting, rewording for clarity, made the release notes available on more of the dialogs, fixed the tab order for keyboard aficionados, and more. ThumbsPlus no longer prompts to check for updates on the first run after installation. (Help | Program Updates). Why clutter up the user's first look at ThumbsPlus? Increased the mouse scroll paging and PageUp / PageDown size in the Thumbnail View (file list). Added warning message if ThumbsPlus is unable to write to the preferences (.INI) file. Fixed an occasional memory leak when processing selected areas of images. Improved handling and reporting when the user has an invalid TEMP folder. Fixed disabling of Invert mouse wheel zoom direction when wheel zoom off. Changed so that if zooming is the default for the wheel, CTRL+Mouse wheel will scroll. Fixed ability to set sort orders from Preferences - Thumbnail View. Fixed sometimes not showing correct sort orders on the Thumbnail View. Fixed sometimes not refreshing file list when changing preferences that affect it. Now shows a "working" gear next to sort order when it is temporary (i.e., Similarity). Allow as few as 3 simultaneously open view windows in Options - Viewing - Window. Added explicit File - Move File and File - Copy File to the command list for use in keyboard customization. Fixed ugly coloration on trial message in About box. Improved wording of the error reported when XMP injection or update fails (usually it's just a file format that doesn't support XMP). Fixed handling of several non-critical EXIF/XMP tags when transforming (rotating) files. Installer: fixed the Clean Install option to properly remove the preferences and revert the .TYP and .FLT files to installation defaults. Installer: fixed Visual C Runtime library installation so that it does a repair if already installed, catching almost all situations where MSVCR110.DLL or MSVCP110.DLL are missing or invalid, and prevents the Microsoft installer from restarting Windows. Installer: extended the permission setting for the Preferences folder to include all files and subfolders. When a lot of user fields were defined, the Thumbnail | Assign User Fields window would not work properly. You may now resize the Thumbnail | Assign User Fields window. Gallery | Properties now properly changes and saves the sort order (so you can turn off manual order). In galleries and found lists, sometimes the sort order on the toolbar was incorrect. If you open a database that is marked read only, or that you don't have permission to update, [READ ONLY] now displays in the title bar. Under some conditions, no panel would be active after starting ThumbsPlus. The Thumbnail Panel is now always activated on startup. Fixed an occasional apparent hang, in which a confirmation or other dialog would display, but would not be functional. The wait cursor would display until you switched to another application and back to ThumbsPlus. The Access/Jet database driver (used for .tpdb8 and .mdb databases) returned a message saying "Cannot Open" the database for many different errors. ThumbsPlus now replaces this message with "General database provider error" and the Jet internal error number. When a .tdb8 or .mdb database (Jet) reaches its maximum capacity, ThumbsPlus now recognizes the Jet error -1206 and includes "This may be caused by a full disk or a database reaching the maximum size" in the error message. For information on extending the database, please see the Version 10 FAQ. In order to accommodate more thumbnails in the default Access Jet database format (.tpdb8, .mdb), the default thumbnail size and quality are smaller than in build 4003. For information on maximum database size, please see the Version 10 FAQ. Fixed the "death stroke" keystroke to force a crash (CTRL+SHIFT+ALT+F11+F12), which allows you to crash ThumbsPlus and create a dump file for support in case of a hang. Fixed occasional crashes or mangled output if Disable banded printing was not checked in Options | Preferences | Advanced. Banded printing was for dot matrix printers and as far as I know never needed. The Scheme name would be cleared after loading a scheme in File - Print. Fixed an occasional memory leak when using Image | Stamp. Fixed a problem saving TIFF files in a folder with non-ASCII characters. ThumbsPlus was not always stripping old-style EXIF and IPTC information when removing metadata from JPEG files (Image | Remove Metadata). Improved speed of rotating images from the main window (it was creating the thumbnail multiple times). Improved error reporting to include the Windows system error when files cannot be created or written. When sorting by Similarity, ThumbsPlus will now apply any selected secondary sort order. The File | Properties window now stretches properly and remembers its position and size. In some situations during multi-file processing the main window would be incorrectly enabled after a dialog displayed, causing various problems and crashes depending on what you performed while the process was still occurring. Because of positioning issues on multi-monitor system and for accessibility, I changed the Replace Confirmation dialog to position centered on ThumbsPlus. Fixed multi-file progress display to remain on screen after an operation is canceled, if any errors occurred during the process. Improved performance of preview during Image | Adjust Color. Eliminated some unnecessary cursor changes and flickering. Fixed Sort by | Similarity sorting twice, and improved similarity performance when there are a lot of duplicates. Because of positioning issues on multi-monitor systems and for accessibility, changed Replace Confirmation dialog to position centered on ThumbsPlus. Fixed Progress display to remain on screen after Cancel if any errors occurred during the process. Fixed the option to Add file when using the ThumbsPlus bug reporting tool ThumbsBug. ThumbsBug runs after a crash, from the Windows Start menu, or from Help | Submit Problem Report or Help | System Information. Fixed the (none) option for emailing from ThumbsBug. On some scaled or high DPI displays, ThumbsBug would display too large. We have fixed two critical problems and several additional issues since we released build 3945 last week. This update is required! While unlikely, a buffer overflow when reading a large and corrupted ICC color profile from within an image file could cause an operating system memory leak — and a Windows crash (blue screen) after many operations — on Windows XP, Vista, and Server 2003. ThumbsPlus was not always saving XMP metadata information in converted or saved files. The Remove File Info option when saving or converting to Jpeg was not toggling properly. This could also cause the file size calculation to be incorrect. Some processes that saved files were not updating or making the thumbnails properly. When converting files with alpha channels (transparency) to a format that did not support alpha, the thumbnails of the new files inherited the thumbnail decoration (ɑ). I fixed a program crash or malfunction when changing image resolution Transform ⇨ Resize and Edit ⇨ Set Resolution. I fixed a small memory leak when converting files (Image ⇨ Quick Convert). Oddly, this could cause subsequent multi-window positioning (Window ⇨ Tile Views and Window ⇨ Synch Views) to misplace view windows. I corrected the destination prompts for File ⇨ Copy and File ⇨ Move to indicate whether it is moving or copying, and I and added the count of files. ThumbsBug, our bug and crash reporter, was not always including the detailed problem description in the archive (.7z). ThumbsBug now sets the description you enter as the message text of the outgoing email. Note: Because of the critical issues fixed, build 3945 will not be available from our download archives. Several of the new features in ThumbsPlus 9 and 10 depend on Python (including Facebook access),, and in the future we will be moving more and more high-level functions to Python. Of course, the core image processing, database, and many other internal functions will remain written in C++ and C (and even a bit of assembly language for some important speed optimizations). Fixed missing menu option to export thumbnails to JPEG files in Thumbnail ⇨ Export to Jpeg. Fixed the toolbar Thumbnail ⇨ Scan Folder button. Fixed problem with pasting images on certain OSes and with Thumbnail ⇨ Make from clipboard. Build 3927 Provides a utility (ThumbsRex) to help diagnose Microsoft runtime error R6034 and startup hangs. Run this utility from the Start Menu ⇨ All Programs ⇨ ThumbsPlus ⇨ Utilities ⇨ ThumbsPlus (Diagnose Startup), or run ThumbsRex.exe from the ThumbsPlus\Bin folder. Fixed view window to honor the Show status line setting in Options ⇨ Viewing ⇨ Appearance. Improved V9 database upgrade process (Database ⇨ Advanced ⇨ Convert .td4) when an Access database is near capacity, and improved performance of conversion, especially when using the Store thumbnails in files option (which is recommended for large databases). Vast improvement to speed of removing orphans (Thumbnail ⇨ Remove ⇨ Orphans). These issues required work in the depths of the code mine (and rewriting a ton of really old code), that is not all that visible, but took several design and programming weeks. Getting these out of the way first helps the more visible fixes and changes to proceed at much faster pace. Fixed canceled or short-circuited EnumDirectoryFiles() from leaking FindFirstFile handles. This was causing spurious 'folder in use' errors in ThumbsPlus and Explorer. Significant code cleanup and dead code removal. When waking from sleep or standby, V9 SP1 would display an Invalid database handle error. XMP/EXIF orientation was not always being updated correctly when saving or converting an image, causing odd rotation errors. XMP/EXIF updates and removals (both from the Info Tab and Image ⇨ Batch Edit Metadata) were not always being applied. XMP/EXIF info sometimes not saved on File ⇨ Save As. Fixed position of input prompt when used from background thread (i.e., asking for a Zip password). Fixed a rare hang when filtering 48-bit images by intensity. Choosing a file for Image ⇨ Image Stamp would always default to "*.aol" and would not remember the last extension used. 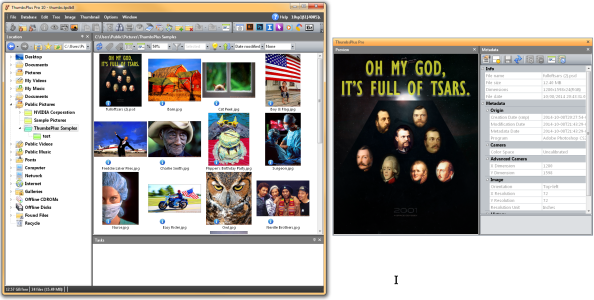 Improved positioning for image editing dialogs, especially on multi-monitor systems with differing monitor sizes. Improved positioning of other dialog boxes. The Edit ⇨ Edit Comments dialog in the view window was jumbled. Fixed delayed memory release from multi-threaded filters. When saving an image to a format without alpha channel, ThumbsPlus now produces a composite image (rendered on the current Edit background color) rather than simply dropping the alpha channel. Memory was leaked when stamping an image by dragging. View window was not always downsampled when zoomed out or reduced to fit. User fields now display and sort properly in the thumbnail view. Several fixes to image stamping are implemented. There are significant enhancements to choosing and arranging item lists, whether you're using them for the Info Pane, image stamping, catalogs, web pages or printing. Fixed problem introduced in beta 2 where selecting to open, repair or connect to a database would always tell you that background tasks were running even when there weren't any. Linking more than one additional extension in Preferences ⇨ File Types ⇨ [type] did not work. View window was not always downsampled when zoomed out or reduced to fit the window. User fields were sometimes not displaying or sorting in the thumbnail list. Several improvements and fixes to image stamping. This was the second official release of version 9 SP2, and the first without beta in the version number. User fields now display and sort properly in the thumbnail view. Eliminated possible crashes in several low-memory conditions. Eliminated some problems with image some editing previews (preview could disappear or repeatedly paint, occasional crashes). Fixed a possible program crash during menu processing (Image ⇨ Quick Batch) when more than 100 batch sets (.tp_batch files in the Preferences folder) existed. Edit ⇨ Paste and Image ⇨ Stamp were sometimes causing small memory leaks that could also interfere with synching or tiling multiple images after the leak.. Some 16-bit gray and 48-bit color images were not displaying correcting. Pasting into some 16-bit gray and 48-bit color images was not always working correctly. Sometimes multiple fonts were not always installed or removed properly. Identified and fixed a crash scenario that did not run ThumbsBug (ThumbsPlus just exited with an uninformative message). ThumbsBug now requires a description unless doing an automatic crash report. If more than 200 file types (Options ⇨ Preferences ⇨ File Types) were created, any were being ignored. On some Windows versions, local drives showed up incorrectly as shortcuts. Made the default mouse wheel scrolling (after a clean install) one row at a time in the thumbnail view. Fixed loading user profile defaults from the Thumbs9.def file in the program directory (used in multi-user situations). Fixed a couple of rare startup crashes. Fixed occasional program crashes during some image editing functions. Implemented improved default DPI for saving new images (scanned, pasted, etc.). Note: Because of the critical issues fixed in build 3946, build 3945 is not available from our archives. Note: Facebook changes have made the Facebook connection from ThumbsPlus useless. It will be removed in the next major release.